These are great for parties or just for movie night. Kids love them and so do all of my adult friends. They are sturdy and bring back many a fond memory of being at the movies. 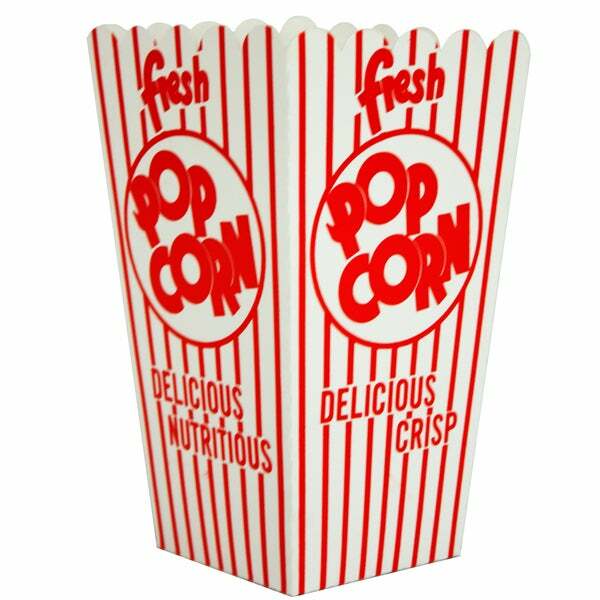 These Paragon popcorn scoop boxes will make you and your guests feel like you're at the movies. This case includes 100 classic red/white striped cardboard boxes. I got this product for the Movie Nights we hold at the church I work for. We serve popcorn and this scoop box does the job. Nothing fancy, but just like you'd expect. Paperboard thickness is good for a durable scoop - much preferred over the thin paper bags.